Share the post "Quick plays: BLASTED, LOST GRAVITY, ANOTHER DEAD HERO, BRYAN ADAMS"
Blasted are a foursome from Switzerland who formed in 2006. They claim influences from Pantera and Lamb of God and aim to be ‘metal’ as well as ‘rock’. 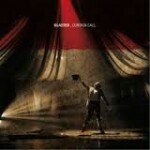 Curtain Call is an eleven track album with most tracks racking up at least four and a half minutes and three tracks lasting well over six minutes. The music is ably played by Simon Claret on drums, Guillaume Jordan on bass and Nico Maret on guitar. Vocals are provided by Carlos Fernandes who changes between shouts and growls and tuneful passages. ‘Somebody Stop Me’ is one of the longer tracks with a slower middle section followed by a break in the music before it unexpectedly starts again, finally fading away. Blasted use some interesting techniques with echoing vocals in ‘Midnight Sensation’ and a melodic guitar section in ‘Lost Knowledge’ which leaves you with a melancholy, almost haunted, feeling. Lost Gravity are a trio from London, formed in 2007 and fronted by Brazilian born Breno Val. 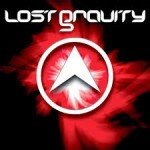 Lost Gravity is their debut album following on from three self-released EP’s. The band play rock/metal and name numerous bands as influences, Metallica and Nirvana to name just two. Lost Gravity starts well, the first few tracks are very AOR, nothing wrong with that, a good listen, catchy hooks and riffs but nothing to write home about. 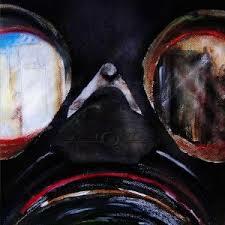 Their sound starts to change about track 6, ‘Friendly Fire’, becoming a bit more lively. ‘Selfish’ then takes you in yet another direction and the following tracks all have their own style. Tracks of the album for me are ‘Venom In Vial’, some interesting key changes, and final track, ‘Walk On’, sounds like it would be a great track live, I particularly like the instrumental section, loud and almost chaotic. Another Dead Hero are a quintet from Burnley and formed in 2003, Dystopia is their fourth full length album and it will be re-released in October. The band claim to play alternative rock/metal/grunge and apparently ‘strive to deviate from the norm’. Dystopia begins with a short intriguing intro followed by eleven unrelenting tracks. The band are likened to Limp Bizkit and Rage Against The Machine and definite influences from them can be heard throughout the album. The first four tracks sort of merged into one for me but when we arrived at ‘I Don’t Care’ and ‘Stoner’ I began to enjoy what I was hearing, very repetitive almost trance like with a powerful beat, ‘Stoner’ lasts for a full five minutes with a rumbling bass and shouted lyrics. ‘Control MKII’ is an instrumental track with buzzing sounds and vibrations which almost shook my stereo apart. The last two tracks on the album, ‘Feed Me Your Lies’ and ‘Remember This day’ are definitely the best songs on the album. ‘Feed Me Your Lies’ has a slightly out of tune sound, which I love, and a great rhythm followed by the last track, ‘I Don’t Care’ which begins with short bursts of sound which bring the song to life. Not a biography but, as the title would indicate, a look at the highly successful career of Bryan Adams. With input from other rock journalists, the book comes in two parts, the first being as described above and the second featuring a comprehensive discography and career time line. We are also treated to some great quotes from Adams himself and photos and artwork from tour programmes, album covers and tickets covering his entire career. There is also an entertaining trivia section- my favourite piece being the fact that “Reckless” is the biggest selling Canadian album of all time, which came as a relief as I was worried it may have been something by Celine Dion!! Obviously, a book like this will not appeal to all readers but Mr Daniels has applied his knack of bringing you right into the subject here and Bryan Adams fans will love “Reckless- A casual guide to the music of Bryan Adams”. Neil Daniels’ other recent releases include “Let It Rock- The making of Bon Jovi’s Slippery When Wet” and “High Stakes & Dangerous Men- The UFO Story” the latter an enjoyable look at the story of one of Britain’s most influential bands – the former looking at the making of Bon Jovi’s “Slippery When Wet” album. I have been a big Bon Jovi fan over the years but had kinda lost interest over the last few albums (well – if I am honest – most stuff after “These Days”), but with “Let It Rock” I was taken back to a time when they really were a great band and on their way to becoming one of the biggest rock bands around. One thing you can be certain of is that if a Neil Daniels book title grabs your interest then you are almost guaranteed to enjoy the content. This entry was posted in ALBUM REVIEWS, ALBUM REVIEWS (Mobile), All Posts, Quick Plays and tagged album, Another Dead Hero, AOR, Blasted, book, book review, Breno Val, Bryan Adams, Burnley, Carlos Fernandes, Curtain Call, Dystopia, ebook, EP, Foo Fighters, Guillaume Jordan, London, Lost Gravity, metal, Metallica, Neil Daniels, Nico Maret, Pantera, Rage Against The Machine, Reckless, review, rock, Simon Claret, Switzerland. Bookmark the permalink.